Bronzeville’s history is collected, sorted and reimagined in an ever-changing, interactive new installation by artist and activist Samantha Hill at Hyde Park Art Center. A transdisciplinary artist with an emphasis on archives, oral story collecting, social projects, and art facilitations, Hill creates multi-media installations and performances within historic buildings, landmarks and public locations. Hill’s first solo exhibition, Topographical Depictions of the Bronzeville Renaissance, will focus her collection on oral narratives and materials donated from the African American community in Bronzeville to create an interactive topographical map installation at the Art Center. During the run of the exhibition, Hill will be in residence in the gallery (see below for hours) to construct a map in real time and shift her collection process. The public will be invited to assist with the mapping process by adding their personal responses to the display in the gallery. An accumulating contribution of ephemera, family photographs, and stories will be strung together to create new narratives that grow, change, and reshape history. Part of the gallery will be transformed into an office installation with furniture and artifacts lent from the Bronzeville Historical Society to provide a work space for Hill. 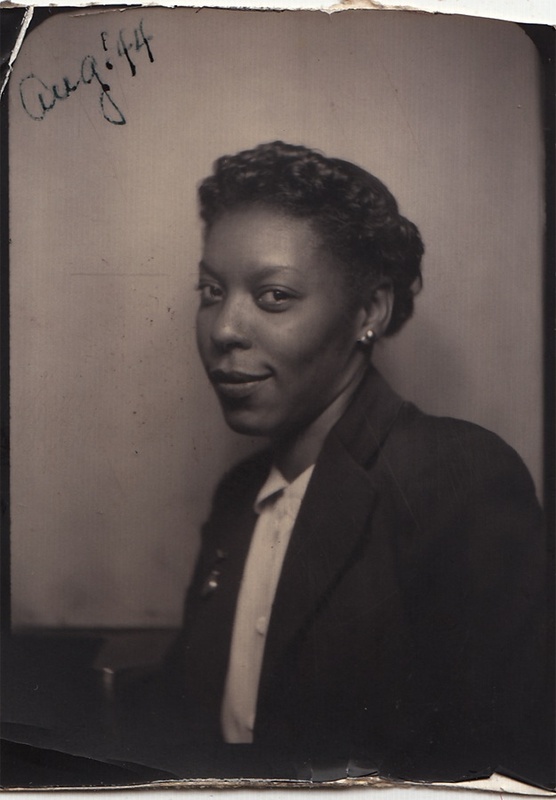 Using the Art Center’s darkroom photography facility, Hill will also introduce tintype portraits of contemporary Bronzeville community members and organizers into her installation. The tintype work will be on display at Blanc Gallery from February 28 until March 23, 2014. This exhibition is a satellite component to the exhibition Risk: Empathy, Art and Social Practice concurrently on view at The Glass Curtain Gallery at Columbia College Chicago (from February 12 until May 6), 6018North, and Dorchester Projects’ Archive House and Hyde Park Art Center. RISK considers the interdependent role of empathy and risk in socially engaged art as practiced by Chicago contemporary artists. The exhibition curated by Amy Mooney and Neysa Page-Lieberman focuses on artists who seek to activate communities, invite the outside in, blur the lines of public/private, reveal our mutual dependencies, and effect social change. Samantha Hill (b.1974, Philadelphia, PA) has exhibited her work frequently over the past five years in venues including the Museum of Science and Industry, Rockefeller Chapel and Vox Populi (Philadelphia). She has received several honors, including the International Sculpture Center Award in 2006 & 2008, the School of the Art Institute of Chicago Trustee Merit Scholarship in Sculpture, and the Philadelphia Sculptors Award. She participated in the Artist-in-Residence Programs at The Center for the Study of Race, Politics and Culture (2011) at the University of Chicago and the McColl Center for Visual Art (Charlotte). Hill received her MFA from the School of the Art Institute of Chicago (2010) and her BFA from Moore College of Art & Design (2008). The artist will hold “office hours” in the gallery from 11 am – 3 pm every Saturday between February 15 and May 17. Image caption: Samantha Hill, A Jeli’s Tale: An Anthology of Kinship (McColl Center), 2013, installation dimensions variable.